DescriptionGUARDIAN - VOLTAGE STABILISER (RELAY TYPE or DISCRETE STEP VOLTAGE TYPE) works based on the auto-transformer principle – with stepped voltage outputs. 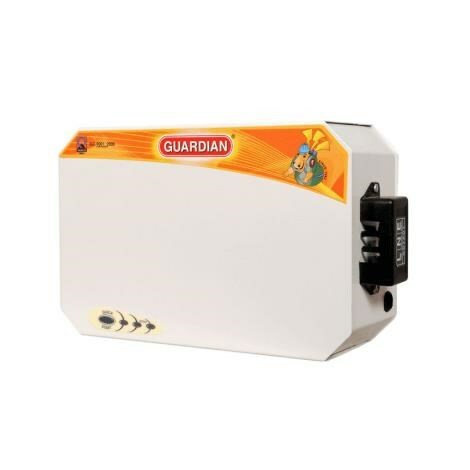 GUARDIAN voltage stabilisers incorporates the HAWK EYE DIGITAL MICROTRONICS. 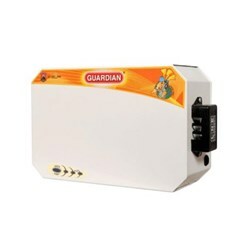 GUARDIAN - VOLTAGE STABILISER (RELAY TYPE or DISCRETE STEP VOLTAGE TYPE) works based on the auto-transformer principle – with stepped voltage outputs. GUARDIAN voltage stabilisers incorporates the HAWK EYE DIGITAL MICROTRONICS.